The purpose of an MVP (Minimal Viable Product) is to validate your concept quickly and efficiently with users. You want to mitigate the risk of spending time and money building a product/ service in isolation to find out no customers that want it. We all know of famous examples like Dropbox who released an “About Us” video to demonstrate the magic of how Dropbox would work. Or even Zappos founder, Nick Swinmurn who went from store to store taking pictures of shoes, uploaded them to his website and started manually purchasing the shoes from stores to fulfil orders. Below is a less known example of a successful company you may not have heard of, who started with creative MVPs. 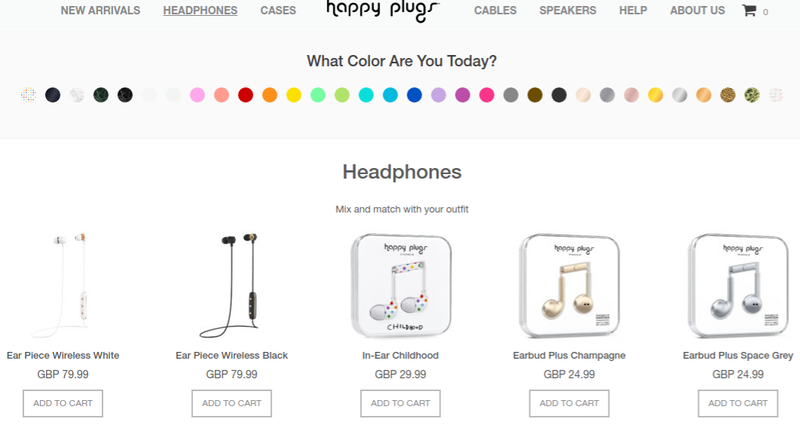 Swedish Happy Plugs founder took iPhone headphones, spray painted them in an array of different colours and packaged them in a creative way to pitch the idea to different stores. The founder, Andreas Vural was inspired from his girlfriend who wondered, “why do earphones only come in black or white.” Feeding that curiosity he wanted to find out how much of an appetite there was for earphones in various colours. He eventually found a manufacturer to make the packaging so that earphones could be packaged neatly as a music note. In 2011, Happy Plugs big break came when a distributor in Helsinborg ordered 25,000 and suddenly product/ market fit was found and money could go towards creating his own coloured earphones. The first product shipped was actually in 2012. In fact he went on to raise $40,000 from friends and family as initial investment and in 2016 was projected to make $13 million in sales with over 6,000 retailers globally stocking their mobile phone accessories. At the core of what entrepreneurs choose to test in their MVP should be their riskiest assumption. Testing this first validates whether you are taking a step in the right direction or not. Positive and negative results from this test are both useful as they provide insight into whether it is worth continuing with the initial idea as intended or not. The next stage once you notice a pattern such as “users are buying this basic version of my product” is to actually speak to users to find out WHY customers love it). For Zappos, it was testing whether people would buy shoes online. For Happy Plugs it was figuring out whether people wanted earphones that were not just black or white. When building your MVP, think deeply about what is the smallest possible test that will take the least effort that I can run to validate a concept, audience or feature with potential customers quickly (MVP). YSYS is a thriving startup community for founders, developers, creatives and investors on a mission to make a difference.